The drawing for today is of a plant that popped up in my old neighbor’s side yard. It was going to be chopped down so I collected it and made it my life model for today. The plant stood about 2 feet high. I looked it up and believe it’s called a Butterweed – a type of Groundsel. The drawing is charcoal and Nero pencil on Strathmore 500 paper. 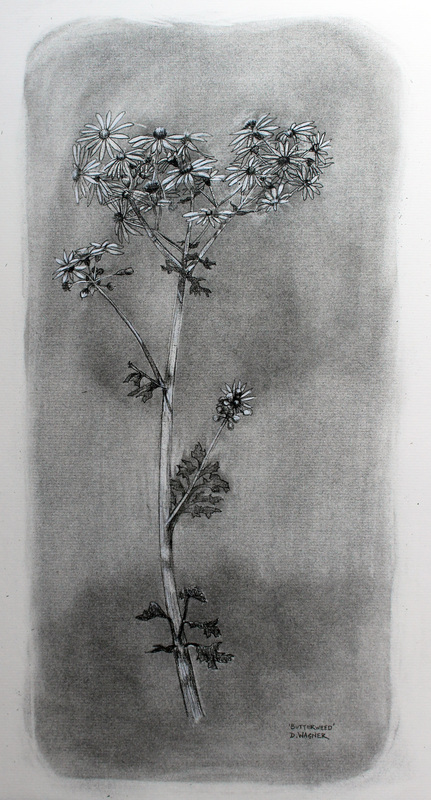 This entry was posted in Uncategorized and tagged black, botanical, butterweed, charcoal, Drawing, groundsel, life, nero pencil, sketching, weed, white, wildflower. Bookmark the permalink.